Well, that didn't take long at all!! Axel is off to his new home in Pine Grove with one of my clients! 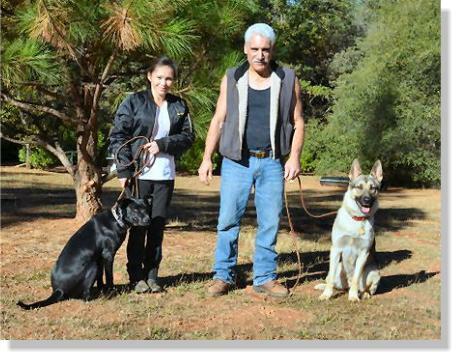 His new owners had come out for a lesson with their 14 month old German Shepherd, they met Axel and the rest is history!! Their entire property is totally dog fenced and the two dogs play for hours. Axel has already been back for two private lessons and is doing just great. We could not have hoped for a better home for this great dog. 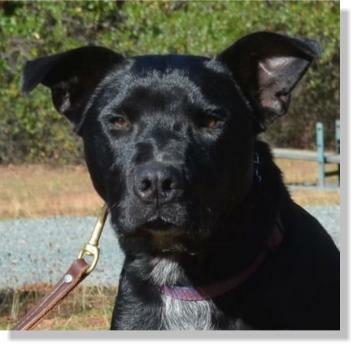 Axel comes to us from the wonderful people at the Amador County Animal Control & Adoption Center. 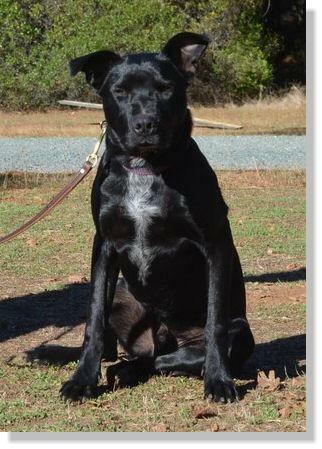 Axel is about 8 months old and looks like he is a cross between a Border Collie and something black! Other than being a total wild child he is a very smart and willing boy. He has a very sweet, affectionate and loving side to him, that after he settles down he is a real pleasure to be with. As soon as he arrived we put him in one of our huge pens with two other dogs and he had an absolute blast. Exercise and leadership is really all this boy needed. 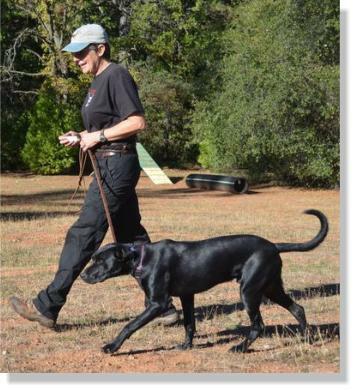 He is coming along beautifully with his obedience training and is a real please to work with. The only issues he needs to work through are…he plays a little too rough with the other dogs which they do not appreciate too much. Axel would do best in a home where he will get enough exercise and with someone that will continue with his obedience training. A home with another young dog to play with would be perfect to Axel.